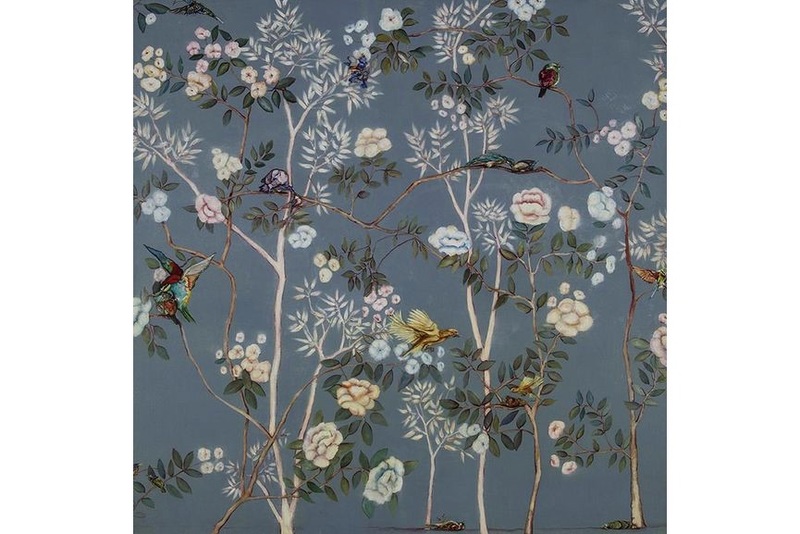 Welcoming Spring Into Our Art Collections! With spring the world is reborn, with trees dripping with blossom and the leaves beginning to unfurl. Since ancient times, artists admired the beauty, freshness and power of this tender season. Throughout the history of art, they have captured everything from nature awakening and seasonal social activities to more symbolic connotations, such as ideas of rebirth, resurrection, awakening of life and desires. Welcoming spring into our lives after a long winter this March 20, we have compiled a list of artworks which perfectly embody a new start which this season brings. 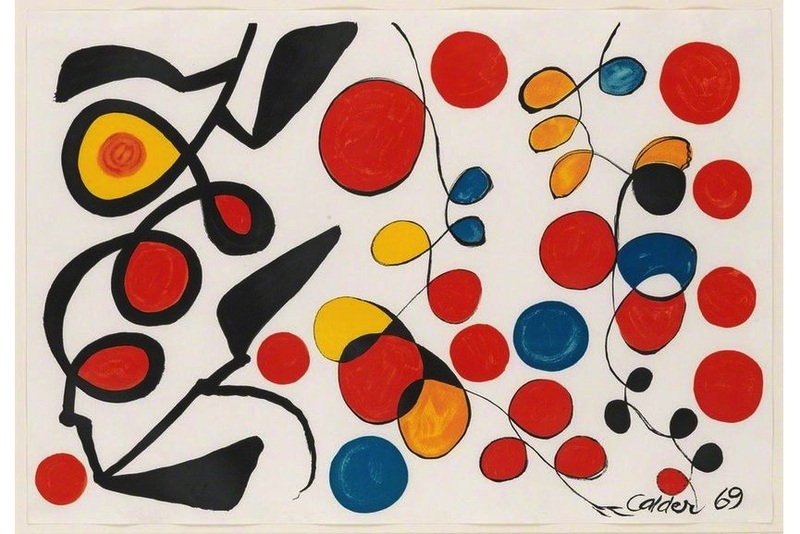 Featured image: Alexander Calder – Spring Carnival, 1965. All images courtesy of their respective galleries. A contemporary Japanese artist, Hiro Ando conflates traditional and present-day Japan in works in a variety of different media including painting, digital media, sculpture, and video. 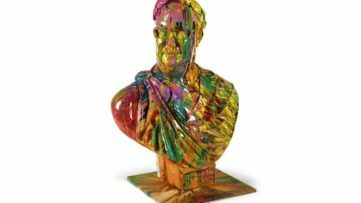 In his sculptural works, the artist often uses monochrome colors and the smooth, shiny materials including resin, porcelain, bronze, and even diamonds, making his works representative of the contemporary Neo-pop art. Created in 2017, Hanami is inspired by the vigorous and brief blooming of the Japanese cherry trees. 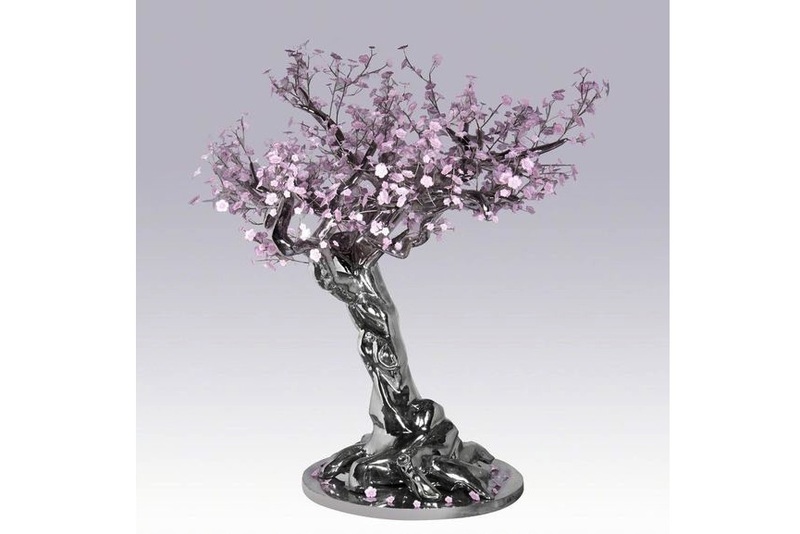 This served as an important symbol of the Japanese Samurai warriors who compared themselves to the petals falling from the trees in their prime signifying the beauty of their short well-lived lives. See more info about the work here. A French-born and Algeria-raised artist, Nicole Pon Horvath devotedly creates contemplative works based on Japanese traditional painting. Through her work, the artist aims to express the transformation of emotions through depictions of natural environments. 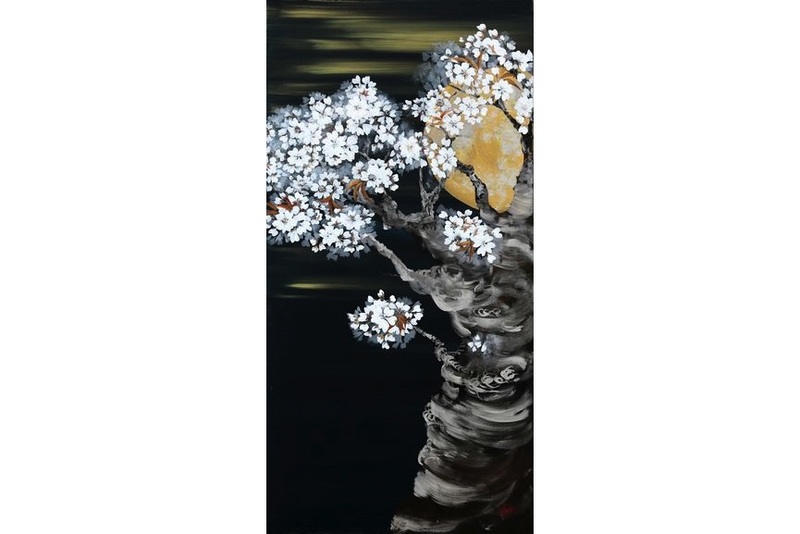 Capturing the full moon hiding behind the old cherry tree, the painting Full Moon and Cherry Blossom evokes stillness and serenity. The work speaks about the permanence of nature and its seasonal clock which repeats day after day, month after month, year after year. 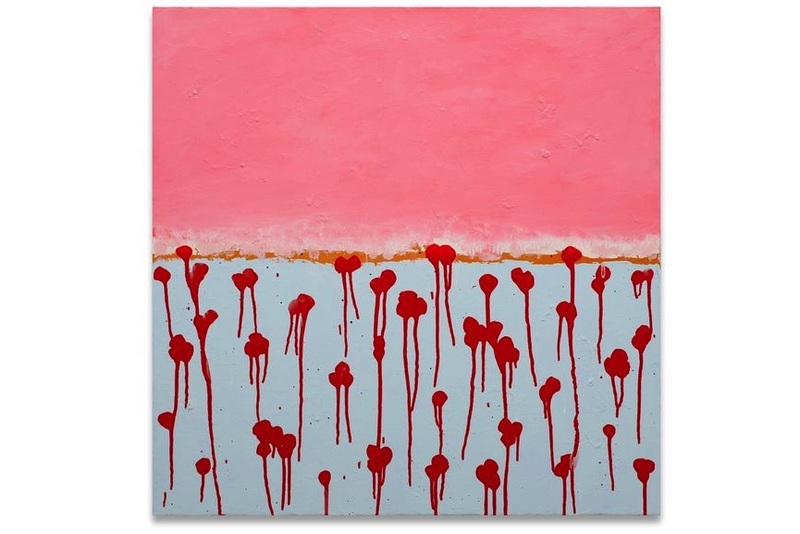 An American abstract artist, Anya Spielman explores the relationship of binary forms – the tension between humanity and inhumanity. Her art is characterized by the indissoluble micro and macro aspect, the intensity of saturated color and the submerged language. 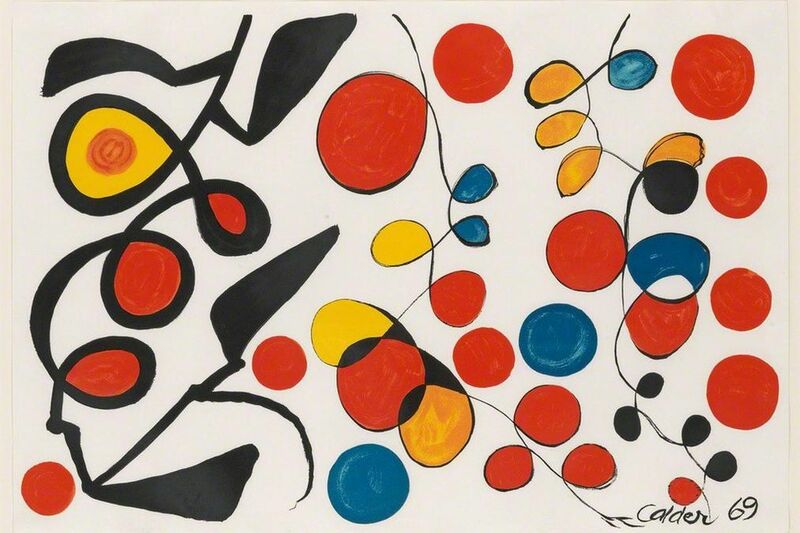 Best known for his delicate mobile sculptures that changed the course of modern art, Alexander Calder also produced a significant painterly oeuvre. 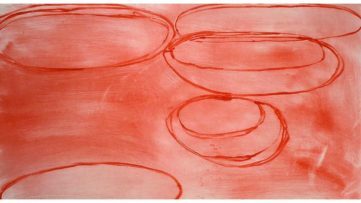 These works organize and contextualize his ideas about movement and the relationships of objects within what he called the system of the universe, creating an uncanny, perfect visual balance. 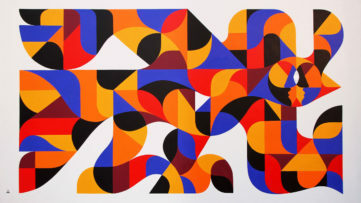 Painted in 1965, Spring Carnival highlights the artist’s interest in the whimsy and harmonious balance of geometric shapes and primary colors, creating the idea of motion on a canvas. Through its visual cues, the work manages to instill the lifefull atmosphere present during a large carnival. Embracing the avant-garde logic, the mass media and consumerism, Andy Warhol contributed significantly to the collapse of boundaries between high and low culture. Having omnivorous curiosity, he experimented with non-traditional art-making techniques, producing works in a range of media. 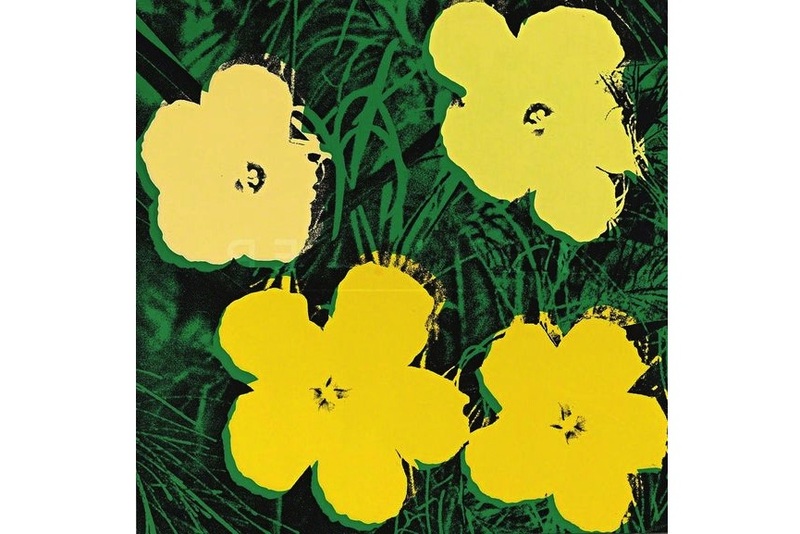 Flowers (FS II.72) is part of Warhol’s famous Flowers portfolio which was based on photographs taken by Patricia Caulfield. Taking rather innocuous images, the artist altered them by flattening and cropping the flowers and adding vibrant, contrasting colors. Set against a dark and ambiguous backdrop, these works suggest the ephemeral nature of beauty. The American artist Deborah Claxton is known for her images which initially appear as oil paintings, but are actually made of small pieces of paper pierced glued to a board. Incorporating her love for color, drawing and sculpture, she assembles images through and intensive painstaking process which involves drawing a map with hundreds of designated numbered points of colors. 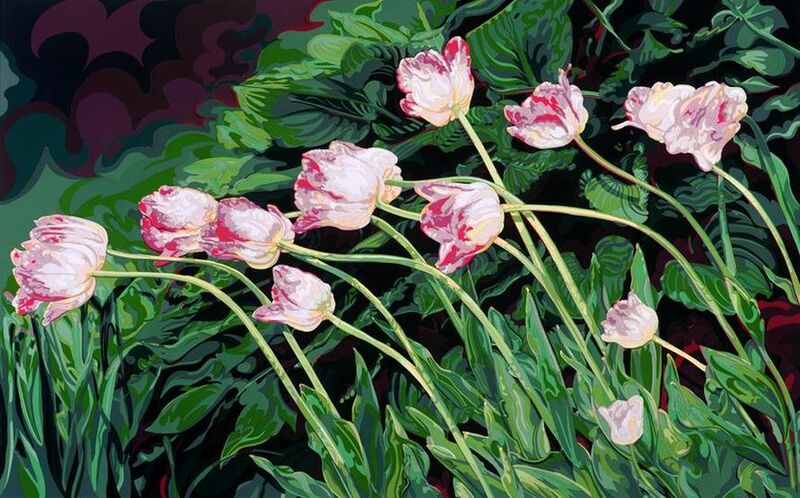 Characterized by vivid, untouched colors, the work Julie’s Tulips is awe-inspiring, featuring details that only someone with acute senses could envision. The Colombian artist Lina Leal creates work which is a receptacle of anecdotes, translated into contemporary aesthetics where human passions become rational and intelligible. In her work, she often addresses loss and absence, offering a personal, intimate and sincere perspective. Soft and delicate, the piece Papel de colgadura evokes traditional Japanese art. 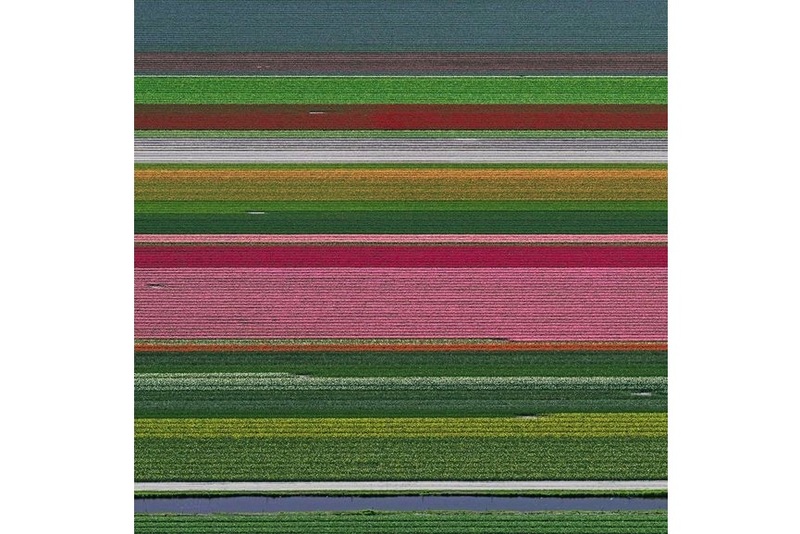 Created in 2016, Aerial Views, Tulip Fields 14 was created above a field of tulips in the Netherlands in springtime which forms a giant multicolored carpet. Lying somewhere between landscape photography and abstraction, the work manages to both please the eye visually and raise environmental concerns.